| Interview by Daniel Codella conducted on March 1, 2010. Look up "Rock God" in the dictionary, and you'll see a snarling picture of guitar legend, Brad Gillis. In addition to supplying innovative solos and catchy riffs for Night Ranger, Brad has also supplied music for big name TV networks, movies, and the legendary Ozzy Osbourne. With rock credentials like that, Brad has established himself as one of the top rock guitarists of our time. We caught up with Brad at Winter NAMM 2010, where he informed us he'd fallen in love with our Discrete Drums product line. We called Brad up to see how he uses Discrete Drums percussion sessions in his production work. Last year, you toured a lot with Night Ranger, including tours with REO Speedwagon and Styx. What's in store for Night Ranger this year? Right now we have about 25 shows booked for 2010. We did about 80 shows last year, and we're trying to equal that amount. We had a great run with REO, Styx, and Journey, and we'd love to lock in a summer tour. Currently, we're looking at doing some re-records of Night Ranger and sending them out for Rock Band and Guitar Hero. We'd also like to do a new Night Ranger record. Are you guys looking for new avenues to release your music? We're looking at placing our music in movies, TV shows, videogames, and iTunes. We love staying on top of new trends in technology. How involved have you personally been in the production of your records? 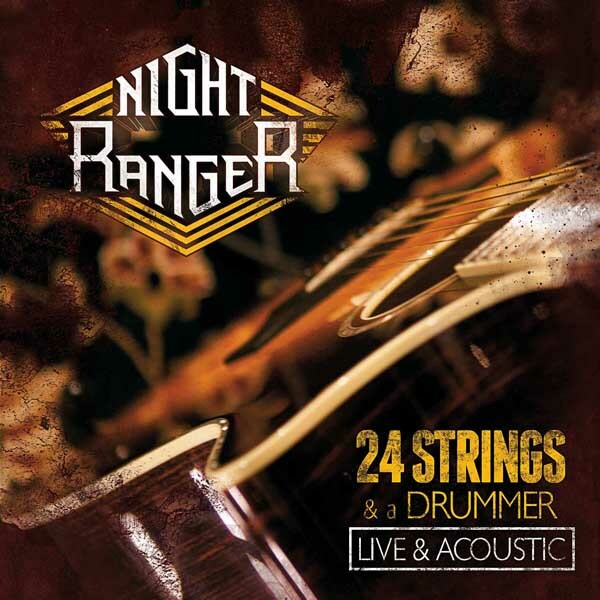 The last few records Night Ranger produced ourselves, so I've been involved a lot with that. In fact, a lot of tracks were done in individual home studios. It gives you a chance to sit down and take your time, and then you deliver the tracks to your main ProTools system and finish the music. The advantage of the home studio is that after meeting as a group and rehearsing, we can all go home and record our parts. We've been recording at Jack Blades house up in Petaluma California, it's been working out great. It's a nice home environment with great sounds. I know you do production work yourself, could you tell us about that? I've been lucky enough to tap into a lot of TV music. I started out doing some Tiger Woods playstation games which moved on to doing music for FOX Sports, ESPN, and Fuse. I'm currently working on some music for ESPN now. I have a company called Liquid Hot Music Productions. The website is liquidhot.net which has a lot of my music on it. I know you're a fan of our Discrete Drums multitrack drum loops. How do you use these products in your workflow? I've been using Discrete Drums for quite a few months now. It's a great tool for me putting together song ideas for Night Ranger. I've also written music for four television shows and a movie and I've used Discrete Drums in all of them. I've been using Discrete Drums for demos with artists I've been working with as well. "I've been using Discrete Drums for quite a few months now. It's a great tool for me putting together song ideas for Night Ranger."